Toyota Motor Europe report overall third quarter sales of Toyota and Lexus hybrid vehicles in Europe saw a 75% increase to 33,370 units. Hybrid vehicles represent 16% of total TME sales in Q3. Cumulative sales of Toyota and Lexus hybrid vehicles in Europe since 2000 now stand at over 470,000 units. The newly introduced Toyota Prius Family is already proving its popularity with sales reaching 11,450 units in Q3, including 4,689 Prius, 4,941 Prius+ and 1,820 Prius Plug-in Hybrid. 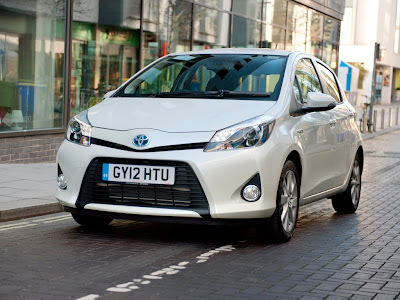 Total year-to-date 2012 sales for Yaris Hybrid reached 14,039 while 19,076 Auris Hybrid have been sold.